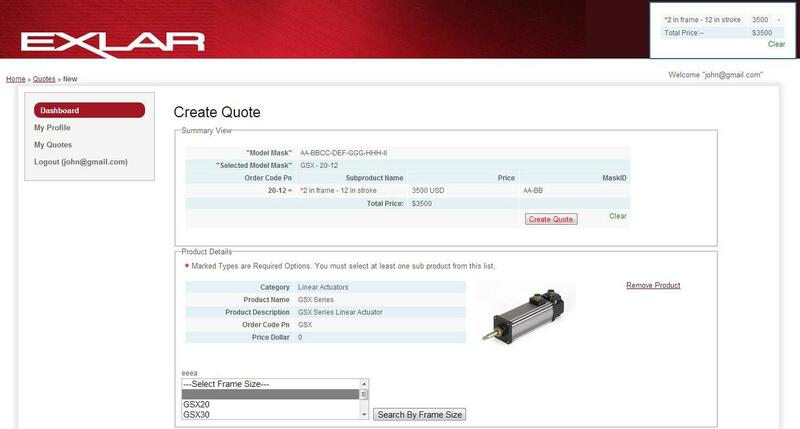 Actuator Price Configurator is an online price configurator custom developed for Exlar corp. Sales agents from around the world can log into a secure shopping cart style price configurator and create online price quotes for respective customers. Quotes can be saved and edited for future references. A secure admin panel provides price administrator to easily create, update or change modify any product information. Application is developed in Yii framework.